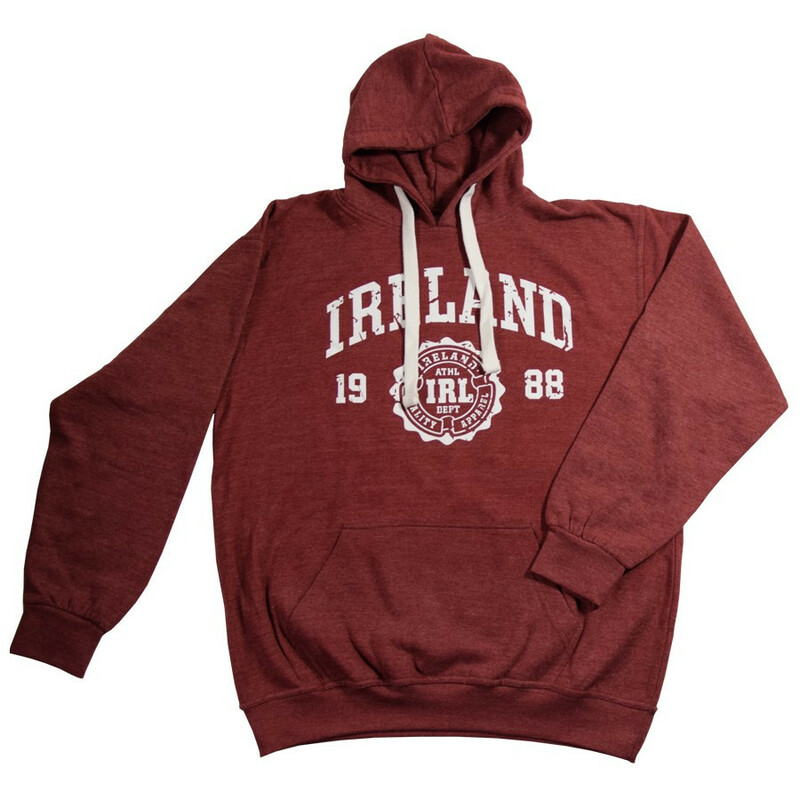 Hooded jumper with large front pocket and white print on a distressed bordeaux background. Hooded sweater with laced hood and kangaroo pocket. Stylish "Ireland" print in front, plain back. An easy wear sweatshirt perfect for your everyday outfit!